Volume one begins with an examination of Anglo-Saxon law, goes on to consider the changes in law introduced by the Normans, then moves to the twelfth-century “Age of Glanvill,” with the first great compilation of English laws and customs, followed by the thirteenth-century “Age of Bracton,” author of another major treatise on the same subject. Volume two takes up different areas of English law topic by topic, or as its authors labeled it, “The Doctrines of English Law in the Early Middle Ages.” They consider land tenure, marriage and wardship, fealty, the ranks of men both free and unfree, aliens, Jews, excommunicates, women, and the churches and the King, before turning to the various jurisdictions of that decentralized era. 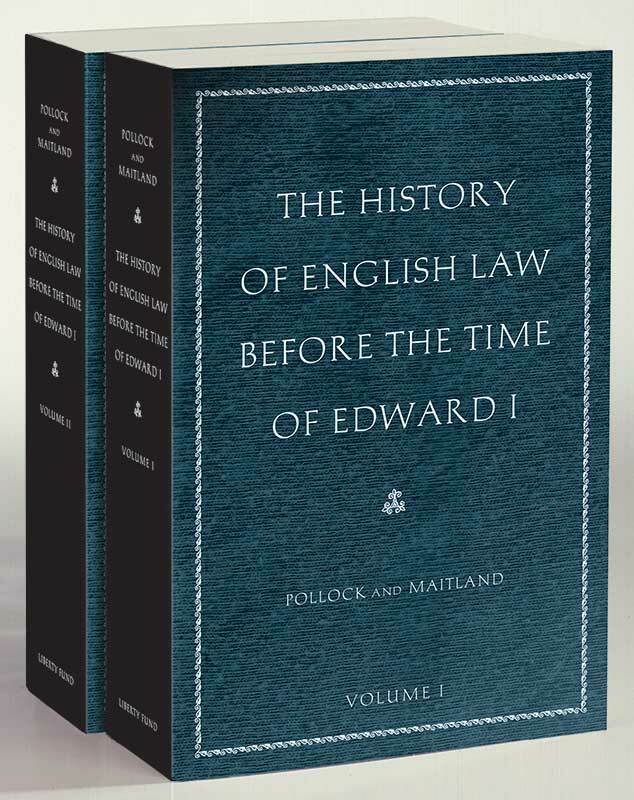 The History of English Law before the Time of Edward I helps readers explore the origins of English legal exceptionalism and through the English tradition the basis of the law of America, Canada, Australia, and other nations. This work is of interest to legal scholars, historians of the Middle Ages, political scientists, political philosophers, and all those interested in Anglo-Saxon law and early law and society. Preface to the first edition, preface to the second edition, list of abbreviations, list of references, notes and bibliography by S. F. C. Milsom, index.